Woolworths bought the Ladybird brand outright from Coates Viyella shortly before it was demerged from Kingfisher. As the dust settled it fell to a new CEO, Trevor Bish-Jones, who had been headhunted from outside, to set a new strategy for the 800-strong chain. When it came, his approach was radical. Instead of targeting the mass-market as " Everybody's Everyday Store", he planned to concentrate on one core group of customers, mums and their young families. This built on leading shares for pre-school Kidswear and Toys for all ages. 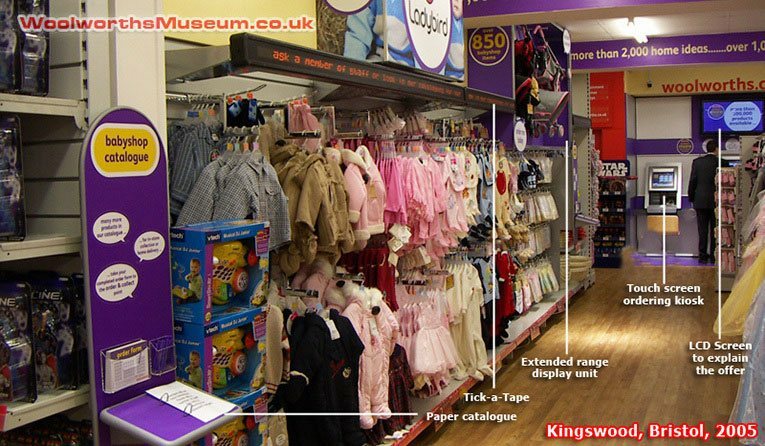 Both ranges were given more space and promoted to the front of the stores, which were to be upgraded. The Ladybird range was expanded, broadening to include kids fashion accessories, prams and pushchairs, and delivered good results. Recognising that its appeal tailed off as children got older, new brands were developed to satisfy school-age boys and girls, with more limited success. Behind the scenes state-of-the-art technology was installed to enhance the design process, which was largely brought in-house, and sourcing was sharpened by appointing highly skilled Director, Jo Hall, as MD of Woolworths Group Asia Limited. The garments improved, costs fell sharply and the supply chain grew in efficiency. But market conditions were getting tougher. Supermarkets muscled in on the most profitable areas by poaching key personnel. Back to School prices plummeted as the grocers loss-led on basic items like blouses, shirts, skirts and trousers, at just £1. They also targeted kids dress-up, a market which Woolworths had built, again forcing margins down. The Company responded with an enhanced catalogue called the Big Red Book, an improved website and an in-store ordering system which proved particularly good at helping shoppers to get hold of the Ladybird items they were looking for. By 2008 the High Street stores had also mounted a successful counter-offensive on price. A new range of WorthIt! budget clothing proved to be a winner. Its jaw-drop prices stole share back from the grocers. But it was too late. Mistakes elsewhere brought the Group to its knees when it ran out of cash in the credit crunch. In the aftermath Ladybird proved to be the most valuable asset that the Group owned, outliving its first customer, which had later acquired and cherished it. 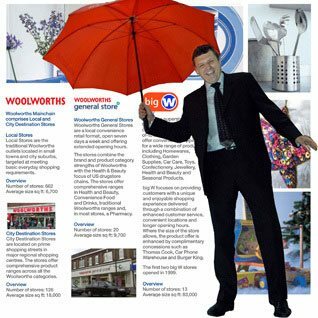 Today Ladybird and Woolworths are brands of Shop Direct Group Ltd. This gallery explores the relationship between the High Street stores and Pasold, the inventors of Ladybird Clothing. operating it in the High Street, and licencing it around the world. After almost twenty years as part of the Kingfisher Group, Woolworths demerged in the Summer of 2001. Before the split the High Street chain had enjoyed a purple period, with profits topping £100m for the first time. It had recently re-opened in the City Centres which Kingfisher had sacrificed after taking over. It was also enjoying encouraging results out-of-town with its new Big W fascia. There was a shake-up in the Board Room after the split, as one-by-one the established Dirctors were replaced by incomers, principally from Dixons Group. The new CEO, Trevor Bish-Jones, redefined the company's values and set a new strategy to take it forward, which he dubbed 'Kids and Celebrations'. The new man felt that the staple Home ranges had lost their way, meaning DIY, Electricals, Gardening, Kitchen and Haberdashery should all be trimmed back, as should Confectionery. Instead the stores would target Mums with young children, expanding Children's Clothing and Toys, building on the twin strengths of the Ladybird and Chad Valley brands. These whould be moved to the front. He also sought to leverage the strength in music and video retailing and wholesaling. Buyers were challenged to think differently, taking decisions more quickly and speeding products to the shelves. The CEO painted a picture of 'Debbie' the key customer, to target product selection. The mix of lines was also to change. With more luxurious stores the Buyers would find scope to sell larger items at higher prices, he argued. 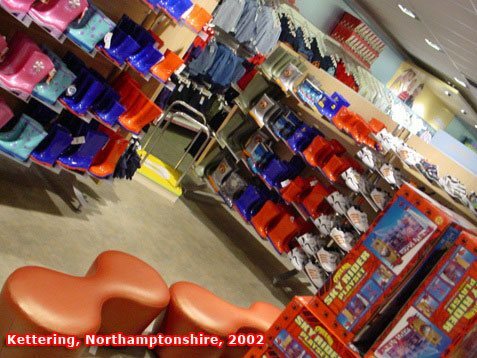 The new look was revealed at Bish-Jones's local store in Hemel Hempstead, Hertfordshire in Autumn 2002, quick followed by the branches in Kettering (left) and Market Harborough. The environment had been transformed, with better lighting, a central red walkway, and new fixtures for both clothing and footwear. As the revised buying principles took effect, new ranges were added. These included kids fashion accessories sold as 'Girls, Girls, Girls'. Other innovations included dressing up outfits for adults and children, which proved to be an instant hit, and a lot more character branded lines. City reaction to the new look was very positive. While the sales growth was modest, the different merchandise mix generated a higher profit. Refinements were made ahead of a final test in Autumn 2003. This transformed the large 18,000 square foot (1,672m2 store in Kingston-upon-Thames in South West London. Customers expressed surprise and delight at the improvement. In the weeks that followed sales and profit rose rapidly, making the case for a roll-out. See the opening day on film. Between Spring 2004 and Autumn 2006 almost 200 large branches were given the new look. Most Fashion Departments got enhanced lighting, new colour-keyed flooring and more adaptable fixtures that could adjust between the long garments worn by older children and much smaller Layette Dresses for babies, and could display items either facing towards the front or turned sideways for clearance. Appropriately Rye Lane, Peckham in South East London, at the heart of Dell and Rodney country, was the hundredth to be converted, upgrading from the worst to the best in town. As ever customer reaction appeared positive. But for the Accountants everything was far from "lovely-jubbly". As the roll-out had continued, the bean-counters knew that the business case had become much less clear. While stores had enjoyed major sales and profit growth on clothing and toys, their overall return on space had fallen. The extra counters that had been allocated to the Kids ranges had generated neither as many sales, nor as much profit, as the items that they had replaced. The more the chain had focussed on Debbie, the fewer older people had visited, while men had largely abandonned the stores, other than when shopping with their families. And as supermarket competition increased, Debbie had proved quite fickle. Finding herself spoilt for choice, she had naturally shopped around to get the best possible value for her tight budget. The new look was not reserved for town centres. Efforts were made to update the Big W out-of-town formula, which had struggled after the break-up of the Kingfisher Group, as former sister-companies withdrew their support. The stores in Norwich and Tamworth were given a complete makeover. 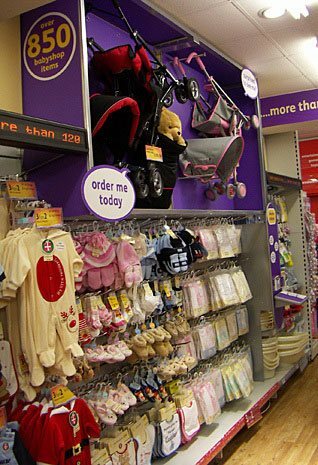 the full works, including huge ranges of clothing and toys to rival any specialist. Ladybird was bolstered with accessories, including a surprisingly popular black and red pushchair. For the first time since Woolco in the 1960s, concessionaires were signed to manage a range of clothing for adults. Peacocks and Store 21 (formerly Quality Seconds) rose to the challenge, using the space wisely and generating a good return. By using their own people and systems they were able to deliver a consistently high standard. The displays attracted a different clientele from their High Street branches. Notwithstanding the success in fashion, the overall store performance was disappointing. Sales and profit barely responded to the investment in new fixtures and fittings and could not justify the high investment required to give the remaining stores the same refit. Instead they were put up for sale. Where no purchaser was found, they were relayed, displaying the new ranges on the existing counters in an updated configuration. They continued to haemorrhage the hard-earned profit generated by their smaller cousins. The out-of-town stores were over-sized, even after being cut down from the footprint of the Big W format. This made them expensive to fill with stock and costly to staff at the level required to keep the public and the stock safe. It was a challenge to fill their miles of counters without the B&Q DIY, Comet electricals, Bookers Food and Superdrug toiletries which had been integral to the range when the sites were chosen. Woolworths Group was forced to keep trading in these lcations by the terms of its demerger from Kingfisher. For the next thirty years these would allow the termination of the lease only if a new tenant could be found who was both prepared to pay the rent and to accept the same lease terms. In the early years of his tenure, Bish-Jones paid little attention to the 500 small stores. Their turn finally came in 2005, when he evangelised a new concept, which he called 'Elastic Walls'. This involved offering a much broader range, which could be ordered in-store. It exploited the infrastructure developed for the chain's wesbite, and sought to leverage the work that went into sourcing a range for the huge out-of-town stores and for third-party clients of the Group's Wholesale Division through Entertainment UK. Customers could order at home from a catalogue, The Big Red Book, for paid home delivery or free collection in a nominated store, use a kiosk in-store, or have a member of staff do it for them at the till. The concept was tested in Kingswood, Bristol. Customers could choose from the huge Big W range, like the one in Imperial Park nearby. New signage explained that orders would be available for collection the next day. Despite the bright new look, the store generated only a handful of orders. Most customers opted to buy things that they could take home there and then. The infrastructure to support the Big Red Book was seen as an investment in the future. The high cost would take years to pay back. Stores embraced the concept, building sales above expectations. But most of the sales were loss-making if the added handling costs were taken into account. As a result, only two further stores got the Kingswood look before it was dropped. Meanwhile at Mission Control Ladybird got its first Brand Manager, Simon Brown. His objective was to maximise the investment in the Ladybird and Chad Valley brands. Working on a very tight budget he made quick progress. A chain of elegant franchised Ladybird shops opened in the Republic of Ireland, followed by further licensors in Malaysia, China and the Middle East. 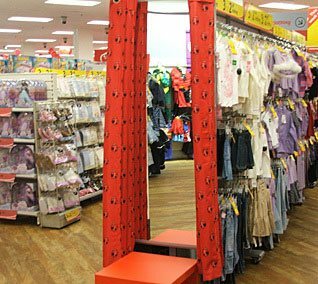 Little did anyone know that before long, this little sideline would become Ladybird's only presence in a physical shop, after Woolworths Group collapsed into Administration during the Credit Crunch having run out of cash. Perhaps one day we will see Ladybird shops operating as a franchise in the British High Street. Who knows? Perhaps the Irish will take up the gap left by the closure of the High Street stores, or perhaps, as some pundits predict, we will all learn to shop for clothes in virtual reality on the worldwide web. For now, if you're looking for good value, well-made Ladybird clothes, just head to Shop Direct Group's popular very.co.uk website or to Littlewoods. The Woolworths Museum would like to thank Professor David Jenkins and Dr Kaori O'Connor of the Pasold Research Foundation for their encouragement in preparing this feature.